Last month, my card club ladies made this pretty card. This is similar to the baby wipe technique - except instead of a baby wipe, you use a piece of felt. I cut the felt the same size as the wood block stamp then inked and stamped the image in Black Stazon on the piece of felt. Squeeze a couple of drops of 3 co-ordinating reinkers randomly on the felt pad keeping within the lines of the image. The colours I used were Marina Mist, Rose Red and So Saffron. 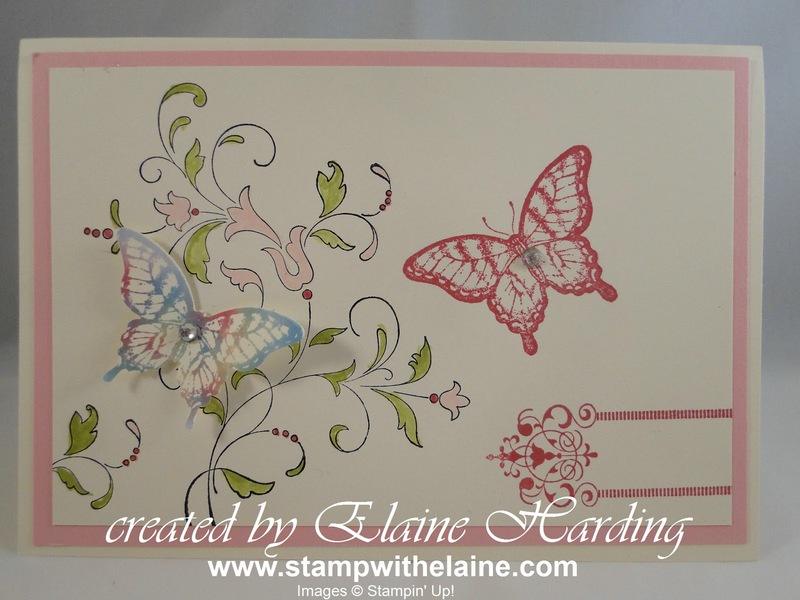 When you ink up your stamp with this temporary ink pad, you will pick up all the mutlicolour hues on the stamp(see butterfly on left). It's a technique I've used time and again, with fantastic results. 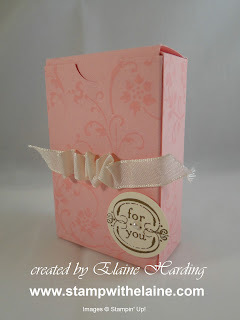 The stamp set I used is Creative Elements. 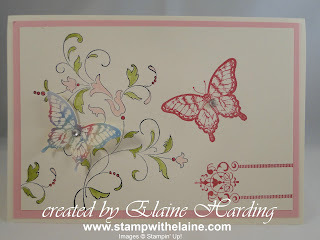 I also used markers to colour in the stamped flourish image as it made the rest of the card "pop"! 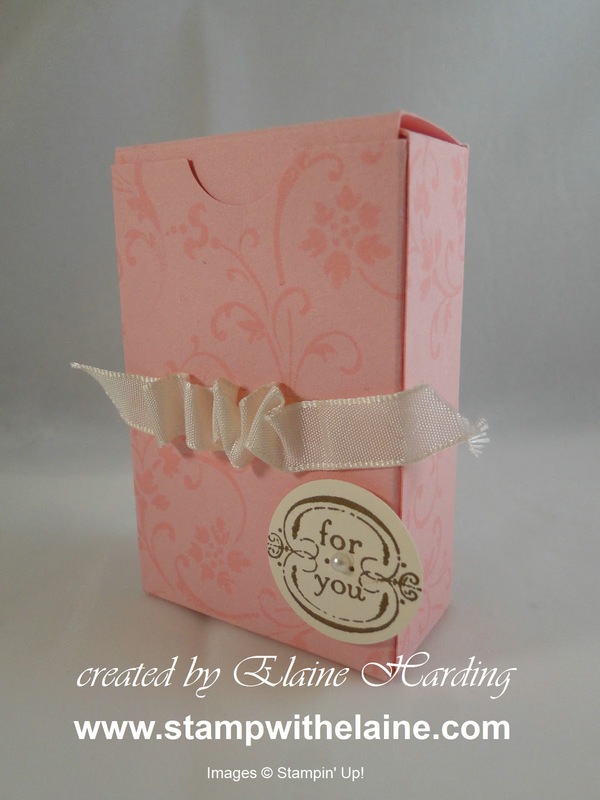 They also made this cute box - the Pretty in Pink box was stamped in versa mark - I just love how you can turn a plain piece of paper and transform it into something useful. Short and sweet today - hope you like it!